How do you generate news coverage for your client or company when the product simply isn’t new any more? Easy: challenge people to come up with a new version then make lots of noise about it. We’ve seen this tactic used time and time again with new flavours for the Kit Kat Chunky that the public are asked to vote to save. Walkers has also launched many bizarre new crisp flavours over the years (does anyone remember Cajun Squirrel?) in an attempt to raise its profile and, of course, boost sales. 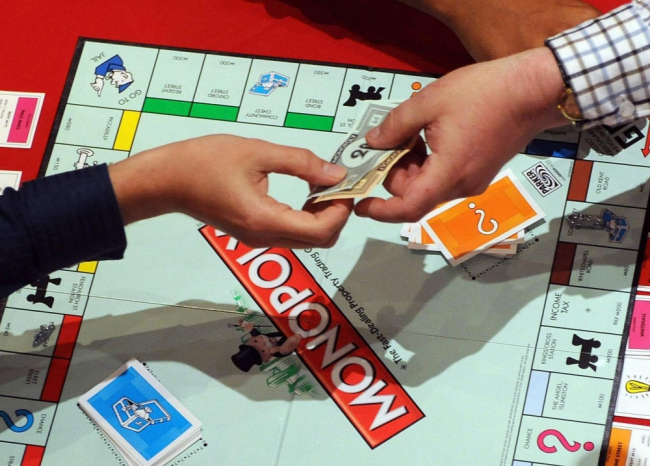 Now Hasbro’s trying a similar approach by threatening to retire one of the iconic Monopoly playing pieces – but to really engage fans and the press, they’re asking the public to help decide which one will face the axe. Read the Metro’s write-up of the story here. It’s a clever way to return an old (sorry, classic) product to the spotlight and really grab people’s attention without bringing out a completely new version. When people feel very attached to something – particularly if it reminds them of their childhood – the threat of change can get everyone talking and grab lots of headlines. Well done, Hasbro, you’ve got my vote! But will my lucky thimble survive..? Each year I indulge in a little Christmas magic with a viewing of Miracle on 34th Street (the 1994 version). It’s my all-time favourite Christmas film so watching it has become an annual occurrence. With a film that you’ve seen so many times, it’s rare that you notice anything new – but this time I couldn’t help but see the viral effect of the “I believe in Santa Claus” message that spreads throughout New York. Little girls hung “I believe” signs in their windows, workmen displayed the message on information screen and big businesses even projected it onto their advertising blimps. While it may not have been an online sensation because it was the early 90s, any marketer would have been ecstatic about how quickly and widely the message spread. It’s a great Christmas film with a wonderful message – and a bit of marketing insight too, it seems.